The Original Novel. 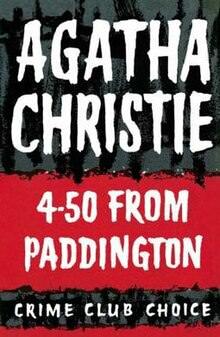 "The Mirror Crack'd from Side to Side" by Agatha Christie was published in 1962, featuring Miss Marple as the amateur detective who cracked the case. It takes references from actual history (discussed below). The time setting sees the end of the 50s, and the beginnings of a rising new culture of the 60s, with Miss Marple commenting on these changes and her aging health. The Original Novel. "Who Killed Ackroyd?" 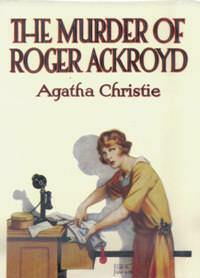 was first published as a series of stories in a newspaper in 1925, and then as a complete novel in 1926 as "The Murder of Roger Ackroyd". It is the third novel to feature Hercule Poirot as the lead detective. It was well-received, and considered a masterpiece. It was also deemed controversial because of its twist ending that made a huge impact on the detective genre. Ep. Finale 12: "Garlic Chive-Egg Rice and Shrimp Chili of Hatchobori, Chuo Ward, Tokyo"